Nikon D500 with 200-500mm f5.6 lens. 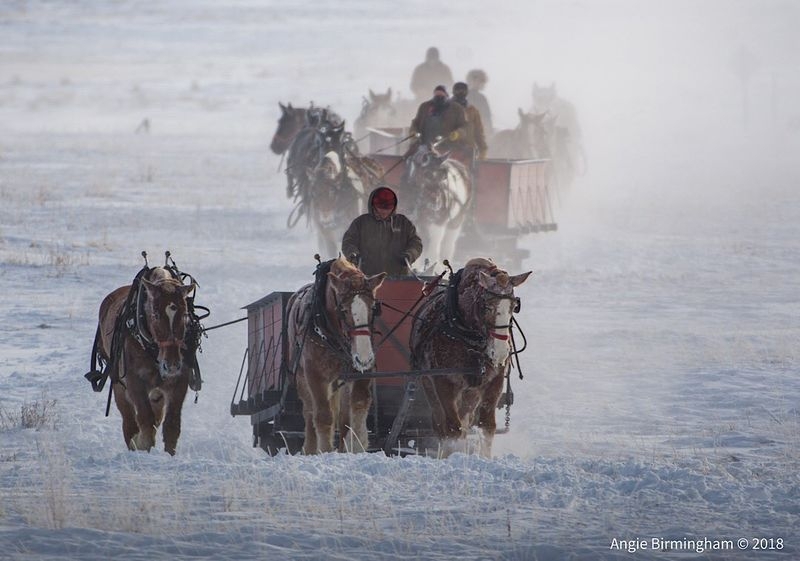 The morning task of bring the feed wagon across the Elk Refuge for the daily Tours was a bit more of a challenge due to the drop in the temperature on this very brisk morning. The Temperature was a chilly -25 degrees. It was not snow but did the night before so the fresh new snow was kicked up by the horses and created a foggy effect. Thank you tommiejeep I will do that.